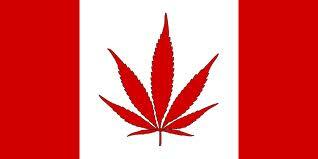 Home International ReLeaf News Cannabis Legal in Canada for the Next three Months??? – Seems like there is gonna be quite a bit of american tourist dollars pointing north in the next three months, and possibly indefinately if canada decriminalizes it as a whole. When it comes to Cannabis, most countries act with a Real-politik mindset, ignoring evidence of its limited harm and symptom supressing benefits among others. The illegality of the plant reaches into the many branches of our economy. Keeping it illegal keeps the wheel of commerce turning in law enforcement, addiction clinics, courts, prisons, anti-drug programs. It provides politcians a ready fall back in tough times by getting “tough on drugs” or “tough on crime.” As to doctors not supporting it, I imagine there is pressure withing the profession from pharma companies as well. I suggest this based on the amount of peer reviewed research appearing in academic journals that does not translate into a shift in policy among the medical profession. I think we fight a losing fight, but that shouldn’t stop us from trying! Education is a good first step, challenging the law in courts is a courageous way to do this. However education, peer reviewed research, and a failure to charge and arrest the drug market into extinction won’t change things. Unless big business, big pharma etc. get their hands in regulating and controlling the market supply, it won’t ever be legalized for those that would use medically or recreationally. Prohibition has too many practical benefits for the status quo. But like I said, that is no reason to stop the fight. Eat, vaporize, drink, hell even smoke it if you have/want. My sincere hope is that I shall be proven wrong in my lifetime and the violence of prohibition will be ended.